Budget Beauty: Witch Skincare Review + UK Giveaway! When I was a teenager, one of the very first skincare ranges that I used was Witch, so when I saw some of their new products in Boots recently, it felt like a trip down memory lane. It may be some years now since I was a teenager, though my skin sometimes doesn't think so! Thankfully, it's nowhere near as bad as it was back then, but I do still suffer from occasional breakouts, and blemishes are still a bug bear of mine. I've recently been finishing up my last dissertation for the year and my skin hasn't been in the best of shape which I'm putting down to too much stress, too many late nights and far too much caffeine and sugar. Being a skincare fan, I have my tried and tested blemish busting stash but I'm always open to trying new things to see if they can help. Witch kindly sent me a Stress Free Skin* set recently which included all of the products above. I was pleased to see some of their new stuff, alongside old favourites such as the Witch Concealer Stick (2g, £3.79, link) as this is something I've used on and off for years - actually one of my very first blog posts from way back in 2011 featured it here! I've been particularly enjoying using the new Witch Overnight Clearing Serum (50ml, £5.99, link) which doubles up as a breakout preventive oil-free serum and a hydration booster. I apply it 1-2 times a week instead of my usual face oil and then apply my regular night cream over the top. The results have been good so far so this will be something I'll happily continue using. If I can feel a spot coming on, I'll apply a little of the Witch Blemish Stick (10g, £2.59, link) on top which I find helps to reduce the size and redness of it quite quickly. 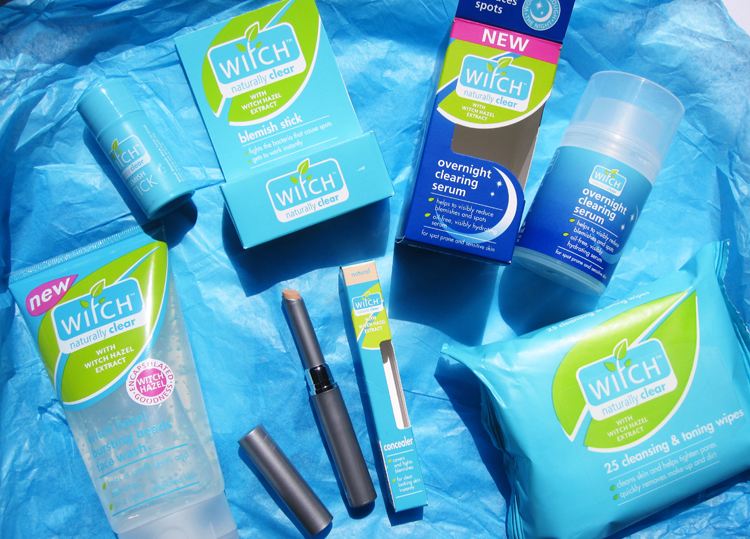 Witch would like to give one of my UK readers a set of Witch goodies (Blemish Stick, Overnight Clearing Serum, Cleansing & Toning Wipes & Bursting Beads Face Wash). So whether you're trying to survive exam season or simply have oily/combination skin, you can enter the Rafflecopter below for your chance to win. Giveaway ends on 11th June 2015 and one lucky winner will be chosen via the Rafflecopter at random - good luck! To find out more about Witch and to read their handy Exam Survival tips, click here. It sounds great woud love to win to improve my skin! Witch products are the absolute best at clearing up my complexion! Hopefully it would sort my very dry skin out! My skin is terrible and witch products really seem to help!